Fourth and Fourteenth: Is It Time To Do Away With Prosecutorial Immunity? Unfortunately, as Alex Kozinski, Chief Judge of the United States Court of Appeals for the Ninth Circuit, recently wrote, "There is an epidemic of Brady violations abroad in the land. Only judges can put a stop to it." 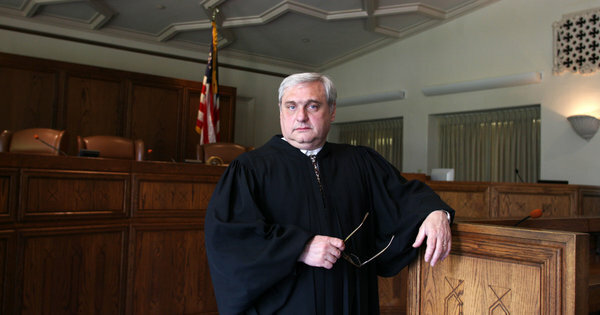 As Kozinski correctly observed, the lack of concern with constitutional mandates and protections by the prosecutor in the case before him "signifies a systemic problem: Some prosecutors don't care about Brady because courts don't make them care." This is undeniably correct, as is Kozinski's observation that when courts forgive prosecutors for not turning over Brady material when there is other evidence of guilt (i.e., harmless error), they "send a clear signal to prosecutors that, when a case is close, it's best to hide evidence helpful to the defense, as there will be a fair chance reviewing courts will look the other way . . ."
This is not suggest that prosecutors as a whole play fast and loose with their evidence or are unconcerned with their constitutional obligations. There are plenty who are dedicated professionals who understand and respect that they are sworn to do justice, even when that means losing a case they desperately want to win. But there are plenty more who are sliding down that slippery slope; the downward descent that begins with pretending not to know that your arresting officer is lying about something important, or kidding yourself that a piece of harmful evidence isn't really exculpatory so you won't have to turn it over, and ends with people sitting in jail for crimes they did not commit. It is important that we have faith in our prosecutors' honesty and honor. Holding those that lack these traits responsible for their deliberate malfeasance is a logical, necessary, and fair. Coming soon, a discussion of some high profile acts of prosecutorial misconduct, and an upcoming challenge to absolute immunity.